LAS VEGAS — Wasabi has set its sights on Asia for its next data center as part of the company’s planned international expansion, according to Whit Jackson, Wasabi’s VP of media and entertainment. 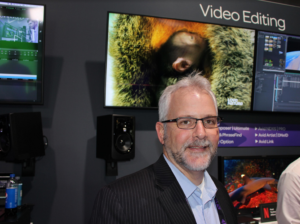 The company recently opened its third data center, in Amsterdam, “about 30 days ago,” he told the Media & Entertainment Services Alliance (MESA) in an interview at his company’s booth April 8, the opening day of the NAB show floor. As pointed out in the fall, that location represents the company’s first European data center and its first outside the U.S. Its other two data centers are in Ashburn, Virginia, and Hillsboro, Oregon. More than 20% of Wasabi’s business comes from outside the U.S., “despite not yet having opened our first international data center,” Wasabi CEO David Friend said in October, while announcing the planned Amsterdam data center inside the Amsterdam Science Park facility. 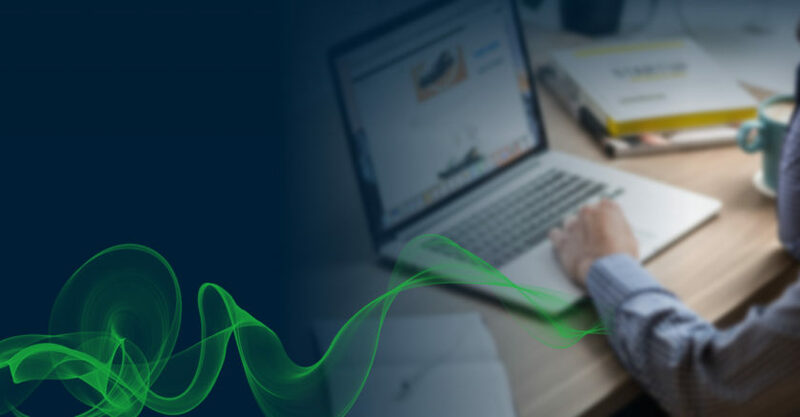 Wasabi is using this week’s NAB Show to touts its growing cloud storage innovations and deliver the message that enterprises of every and any size can have access to affordable, reliable and secure cloud storage. The company is showing how it’s offering a disruptive price and performance model that is one size fits all and tier free, with no vendor lock-in, and how 6,000-plus paying customers have already used Wasabi to store billions of objects. Wasabi is also spotlighting some of its 600-plus solutions partners, along with more than 200 technology partners. “Wasabi provides a high-performance cloud storage platform and we make it very easy to consume,” Jackson told MESA at the show. “We’re 100 percent bit compatible” with the Amazon Web Services (AWS) A3 application program interface (API), which has “pretty much become a de facto industry standard today,” he said. Therefore, he explained: “Anybody that can write to Amazon can write data to Wasabi very simply. As a result, we’ve been able to really certify over 250 partners of ours that interoperate with Wasabi today. And these are folks that provide” services that include backup solutions, archive solutions, media asset management platforms and archive migration. So, Wasabi “just becomes a very efficient, very high-performance and low-cost storage destination in the cloud” that provides its customers with a “very simple bill” in which “you just pay for the storage you consume” and can easily budget for that each month, he said. 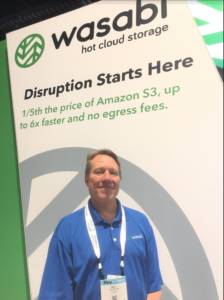 Wasabi and other members of the recently-announced Media Innovation Cloud Alliance, meanwhile, are “trying to make it easier for multi-cloud media workflows,” he told MESA at the show. As pointed out just before NAB, the Alliance is a coalition of media technology companies integrating across multiple clouds to deliver a disruptive price and performance ratio. At NAB this week, Jackson told MESA he was, as always, interested to see how artificial intelligence and machine learning technologies “are getting applied to the media workflow” on an industrywide basis. One major industry challenge, meanwhile, is the fact that, on the storage side of the equation, “there’s a lot of archive libraries out there that are sitting on aging tape libraries” as more companies look to move their data to the cloud, he said. Disaster recovery also continues to be a major challenge that was only underscored by the California fires last year, he said, adding: “Finding efficient ways to move content off-site and get it to a safe location that’s far away, I think, is a really critical issue for the industry right now.” There were “a number of facilities that came really close to being affected by” the Los Angeles fires, he pointed out. 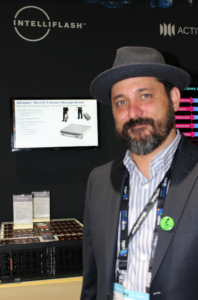 Its focus at NAB last year was “introducing the company to the media and entertainment industry” as a “newer player in the marketplace” that was coming with “a different offering in cloud storage,” he recalled. “I think we got our message across quite well,” he said, adding: “This year, we’ve expanded our presence here with a little larger footprint” at its booth compared to 2018. Wasabi has many meetings set up with customers throughout this week at NAB, he also said, noting it was “90 percent booked” before the show. “I think we really have gained the confidence of the media and entertainment industry that we’re a solid solution in the marketplace, we’re here for the long run, the company is very well-funded and we’re going to be a part of this industry for quite a long time,” he said. Among the bevy of announcements Avid Technology made at NAB, the Avid NEXIS Cloudspaces SaaS cloud storage solution had to be tops for the company, according to Ray Thompson, director of broadcast and media solutions marketing for Avid. Avid’s new NEXIS Cloudspaces provides a simple way for post-production, broadcast and sports teams to sync Avid NEXIS workspaces to the cloud, for easy offsite backup. All existing and new Avid NEXIS systems will come with a 2 TB of cloud storage (for a limited time), enabling users to try out the service for free. “It’s back-up made simple, and it scales the way you want to,” said Ray Thompson, director of broadcast and media solutions marketing for Avid. Other Avid announcements at the show included Media Composer 2019, which includes a next-gen Avid Media Engine and distributed processing, a customizable and a role-based user interface, and Pro Tools 2019, which enables users to better experiment with effects, presets, and more during playback. With the amount of data bouncing around between production and post companies, studios, and distributors, creating and distributing content, especially with 4K workflows, has become more of a challenge than ever before. Western Digital’s entire data center systems portfolio was on full display at NAB, with the company showing how it can enable hybrid cloud, analytics, machine learning, performance workflows and more, all with the goal of delivering performance and efficiency that’s needed today to protect and extract value from data. Ultra-low latency IntelliFlash NVMe all-flash arrays, the company’s ActiveScale object storage hybrid-cloud system, and Ultrastar family of storage servers and platforms were on hand.